According to new research from the Salk Institute for Biological Studies, the loss of an important inhibitory neuron receptor in the brain may lead to neurodevelopmental disorders, such as schizophrenia and autism in mice. The findings were published in the journal Molecular Psychiatry. 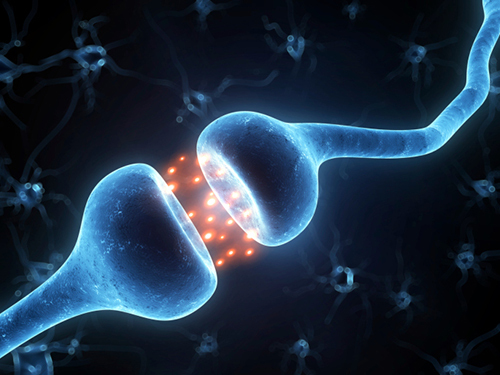 The receptor called mGluR5 has previously been researched as an important factor in other parts of the brain. It is the first time that mGluR5 has been studied in a cell type called parvalbumin-positive interneurons, which are believed to control cognitive function. Previous research shows that the brain’s networks don’t form correctly when molecular signaling is disturbed in parvalbumin cells during development. Other studies have linked mGluR5 receptors with addiction disorders, like Fragile X Syndrome and anxiety. However, in these studies, mGluR5 was affected with excitatory cells. For this study, mGluR5 played a vital role in parvalbumin cells. Salk researchers partnered with a team from the Department of Psychiatry at the University of California. The goal was to find what happened once the mGluR5 receptor was erased from the paravalbumin cells after the brain had been initially formed. When mGluR5 was deleted, the mice had several developmental problems, including anti-social tendencies and repetitive behavior. The brain activity in the mice was also similar to patterns of human schizophrenia. Salk staff scientist Margarita Behrens suggests that the study is also a cautionary sign of pharmaceutical drugs that affect the mGluR5 receptor in the brain. “There are a lot of clinical trials ongoing looking at modulating mGluR5 for anxiety and Fragile X Syndrome, but our results suggest that if you affect parvalbumin neurons, you might get behavioral changes you weren’t expecting,” says Behrens. Barnes, S.A., et al., “Disruption of mGluR5 in parvalbumin-positive interneurons induces core features of neurodevelopmental disorders,” Molecular Psychiatry, August 11, 2015, doi: 10.1038/mp.2015.113; http://www.nature.com/mp/journal/vaop/ncurrent/full/mp2015113a.html. “Receptors in brain linked to schizophrenia, autism,” Salk Institute for Biological Studies web site, August 11, 2015; http://www.salk.edu/news/pressrelease_details.php?press_id=2104.